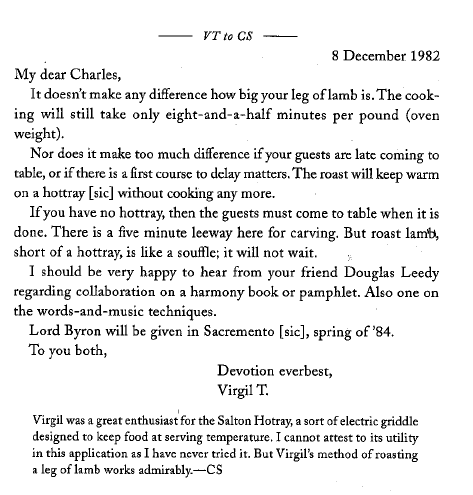 This entry was posted in Donny Sison and tagged america, correspondence, food, Mahalia Jackson, New York Times, Virgil Thomson by sison. Bookmark the permalink. 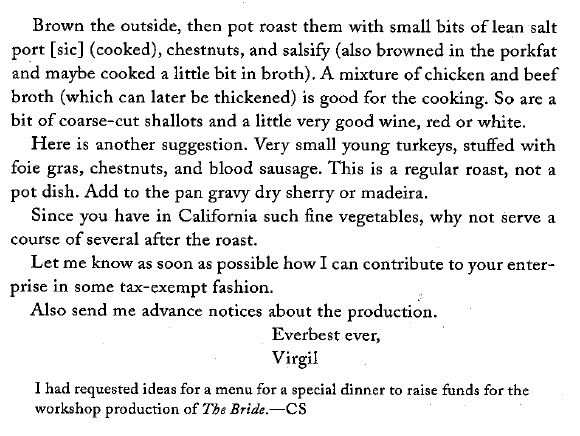 This is easily your best post yet – my compliments to the chef! First things first, you linked to a classmate’s post, which makes this blog feel more like a community and less like a collection of writing assignments. Hooray! What’s especially great about this post is that I hear *your* voice shining through. 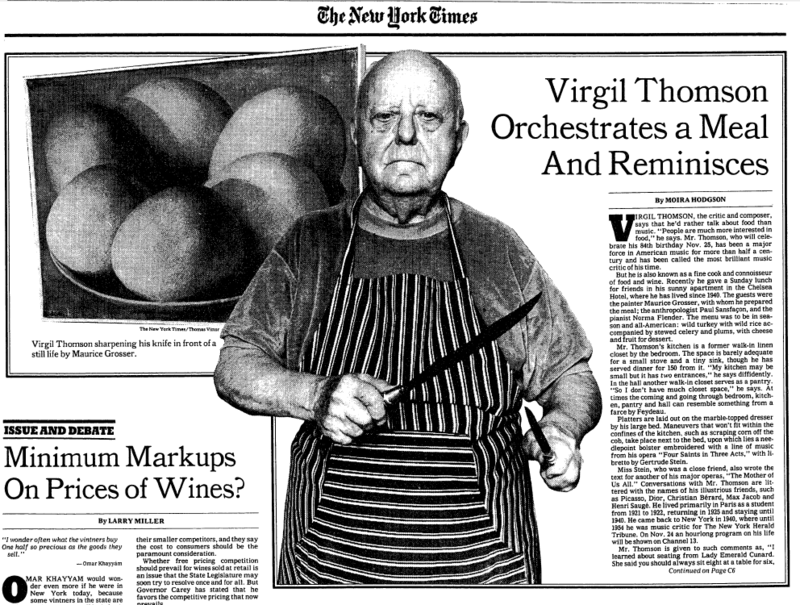 You combine serious, close reading of primary source texts with a humorous, relaxed tone (helped by your choice of topic), and while the post seems to stray from course materials, your point at the end brings it all back: Virgil Thomson was a real person with subjective taste, personal foibles, and particular obsessions. The humanity of our objects of study is incredibly important to keep in mind. Thanks for this helpful reminder.